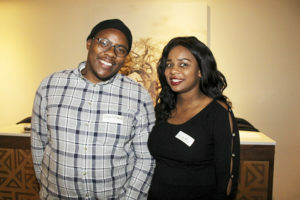 On Wednesday 30 May, students from Syracuse University in New York State, America, descended upon Grahamstown’s Graham Hotel to host a meet and greet together with the Inkululeko programme. 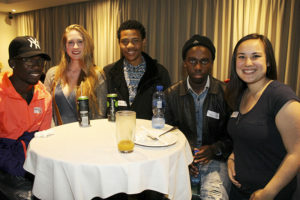 The event was the official start of the Syracuse students’ three-week trip in Grahamstown. While in town, the students will be working alongside volunteers from Inkululeko in an attempt to experience the Grahamstown culture. They will be stationed at the Graham Hotel, and a number of guest speakers will be coming to speak to the students from a number of local Non-Governmental Organization’s (NGOs). On their website, Inkululeko describe themselves as a non-profit organisation that serves motivated students in Grahamstown. They work collaboratively “to fully realise and unlock their potential”. Jason Torreano, the organiser of the initiative, was excited about the way the trip had started. “I think something that is really important is weaving the students, as much as we can, into the Grahamstown community,” said Torreano. This is the seventh year that Torreano has brought students from Syracuse to Grahamstown, and he was looking forward to the upcoming weeks of activities planned. 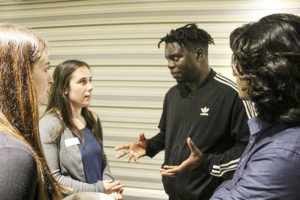 “[The students] work really closely with Inkululeko… they come every Tuesday, Wednesday and Thursday to work on a project with them,” said Torreano. The guest speakers, mentioned by Torreano, include Jane Bradshaw from Eluxolweni shelter, Dr Nomalanga Mkhize from Rhodes University, and a recovering drug addict who will talk about their steps to recovery. This is in response to Inkululeko deciding to focus on drug use in the community during the students’ time in Grahamstown. April Pelkey, Hannah Nichols, and Olivia Kylander, three students from Syracuse University, were all excited to experience Grahamstown culture for the first time. “I have really enjoyed working with the Inkululeko students so far and I am really excited to see what the next two weeks are going to bring,” said Kylander. “I am looking to just learn from the students and learn about the education system here in all of the schools. We are doing a health promotion project as well, so I want to learn about how to implement a community based project as well,” said Nichols. Pelkey was inspired by the students in town and how they are looking to grow as people. 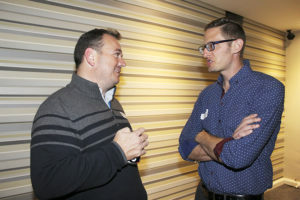 “One of my favourite parts [of being here]is how friendly the people are and how motivated the students are; they really have the ambition to grow and become the best people they can be,” said Pelkey. 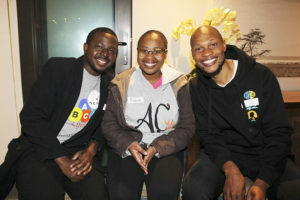 “Each year when we come, we see a few folks that wish to remain engaged and involved in some capacity; we have had some people that have come back to South Africa to continue working with us, or to continue to support other NGOs in and around Grahamstown,” said Torreano. 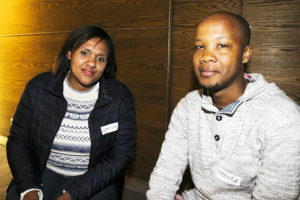 Leandra Fobe (left) and Madoda Mkalipi. 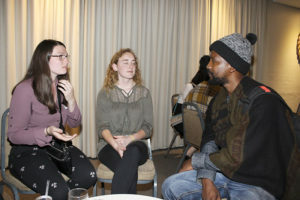 Stephanie Spera (left), Brianna Stahrr (middle), Masixole Heshu. Max Leon Resch (left), Kjetil Torp (Middle) and Bijal Patel. 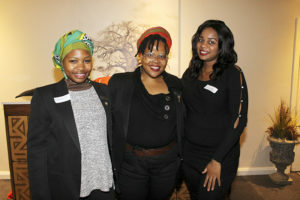 Noko Pela (left), Buhle Moholi (middle) and Samkelo Malgas. 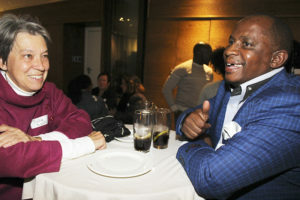 Julie Wells (left) and Otto Ntshebe. Roy Hobson (St Andrew’s College) (left), Jason Torreano (Inkululeko). 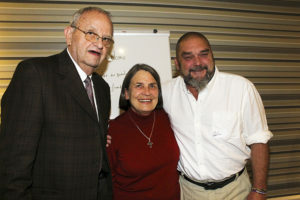 Pete Middlemiss (US) (left), Jane Bradshaw (middle), and Adrian Pulmore (UK). Nondumiso Msezane (Rhodes SRC Secretary General) (left), Nhlakanipho Mahlangu (Rhodes SRC President) (middle), and Kuda Chingoro. Langaliphumile Nyandu (left), Kuda Chingoro. Deanna Berg and Hanna Nichols (Syaracuse) (left), Tamuka Mtengwa (middle), Ryan Patel (Syracuse). 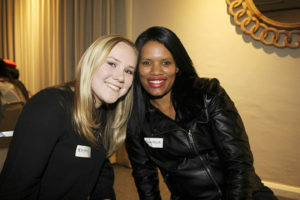 Kristen Florio (left) and Chantelle Goliath.